Stay-cool Handle * The stay-cool handles make it easy to remove from the oven. It has stay-cool handles that make it easy to remove from the oven. 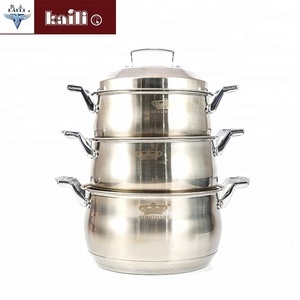 The stainless steel material is easy to clean, strong and immune to rust. 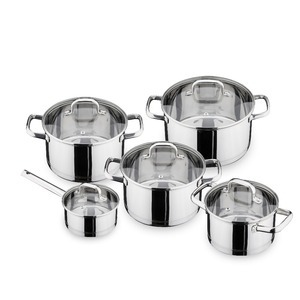 Multi-purpose stainless steel large cooking pots and pans set Item Description 1.Model no. 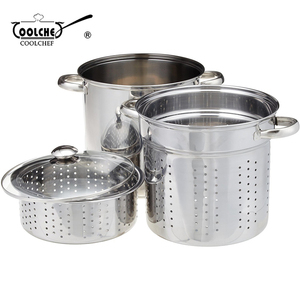 Multi-purpose stainless steel large cooking pots and pans set Jieyang Qingzhan Rustless Steel Co.,Ltd. Our company integrates in development, production and sale together, and has independent import and export rights. 2.The base of the inner pot is use of high tech heat absorbing steel coil. 3.The inner pot can keep 1 hour ebullition until the food is cooked and will go into the heat preservation condition. 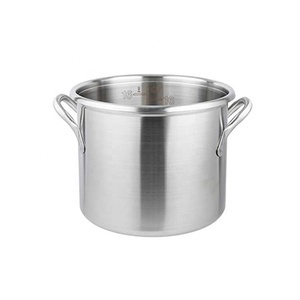 Attention: 1.The outer pot is used to pretect the inner pot ,cannot put on the stove for boiiling. 4 YRS Jiangmen Hetaixing Kitchen Utensils Co., Ltd.
2 YRS Shanghai Hungyee Trade Co., Ltd. Especially, we produce by our spare parts such as lid, knob and handles, gift box, carton, rivet, polybag etc. 3. What is your production lead time9 Usually 7-20 working days for samples, and 40-75 days for mass production upon received deposit payment and confirmed all artworks. 7. 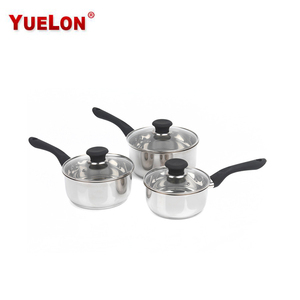 Are they suitable for induction9 Suitable for All Hobs: Induction Cooker, Gas Stove, Halogen, etc. 1 YRS Jiangmen Jinrun Metal Products Technology Co., Ltd.
10 YRS Chaozhou Chaoan Jinqilin Stainless Steel Co., Ltd.
9 YRS Shantou Jinbao Plastic Industry Co., Ltd.
2. Confirm the price, lead time, artwork, payment term etc. 3 . After your approval, we inform that we will arrange the production & inform the estimated time. 6. Middle Production-send photos to show the production line which you can see your products in . 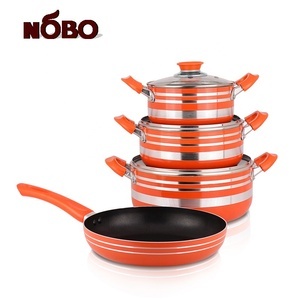 Alibaba.com offers 5,447 cooking pot sizes products. About 17% of these are soup & stock pots, 14% are cookware sets, and 4% are casseroles. 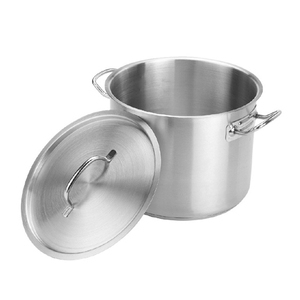 A wide variety of cooking pot sizes options are available to you, such as ce / eu, fda, and sgs. You can also choose from stainless steel, aluminum alloy, and aluminum. As well as from metal, glass. And whether cooking pot sizes is free samples, or paid samples. 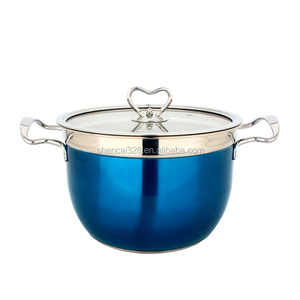 There are 5,447 cooking pot sizes suppliers, mainly located in Asia. 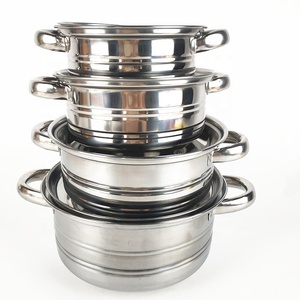 The top supplying country is China (Mainland), which supply 100% of cooking pot sizes respectively. 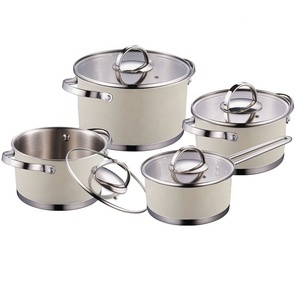 Cooking pot sizes products are most popular in North America, Western Europe, and Eastern Europe. You can ensure product safety by selecting from certified suppliers, including 1,265 with ISO9001, 616 with BSCI, and 264 with Other certification.